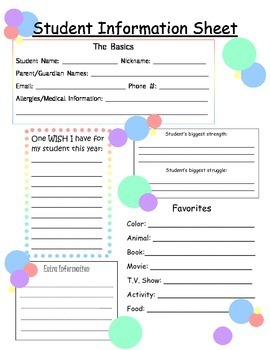 This sheet is great for the beginning of the school year! It is simple for parents to fill in but gets all of the information you need. It goes great with a polka-dot themed classroom!